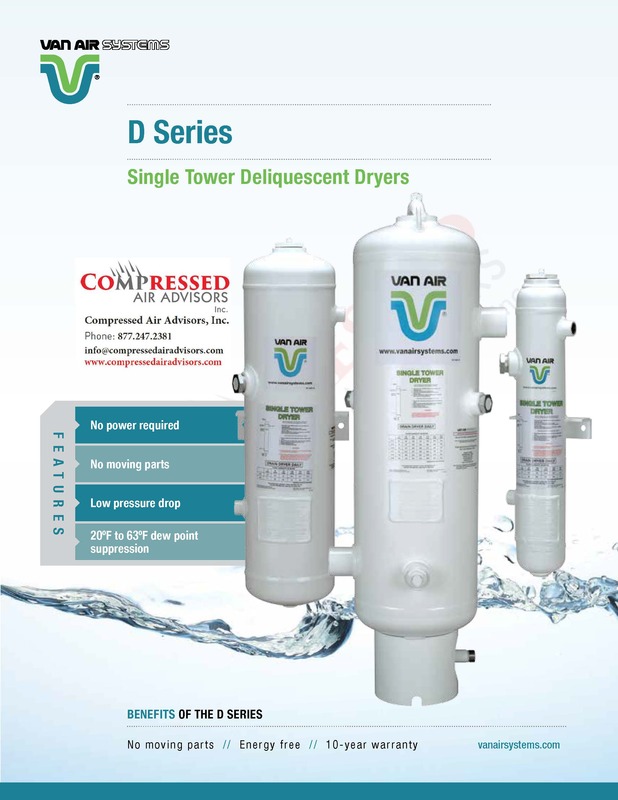 Van Air Systems D-Series Compressed Air Dryers are single tower deliquescent compressed air dryers for stationary applications. 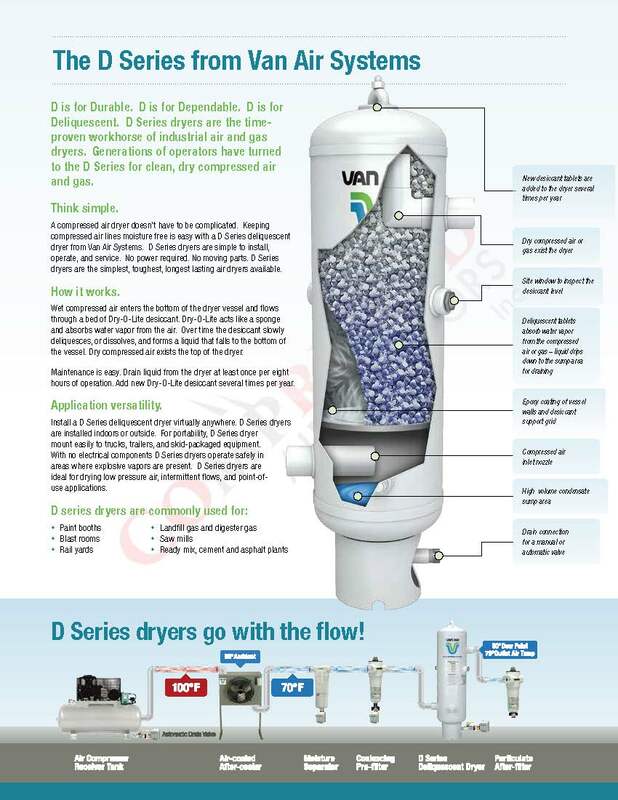 D-Series Dryers remove harmful water vapor from compressed air lines. Wet compressed air enters the bottom of the dryer and flows upward through a bed of deliquescent desiccant, which absorbs moisture as it slowly dissolves. Condensate drops to the bottom of the vessel to be drained. Dry compressed air exits the top of the vessel. 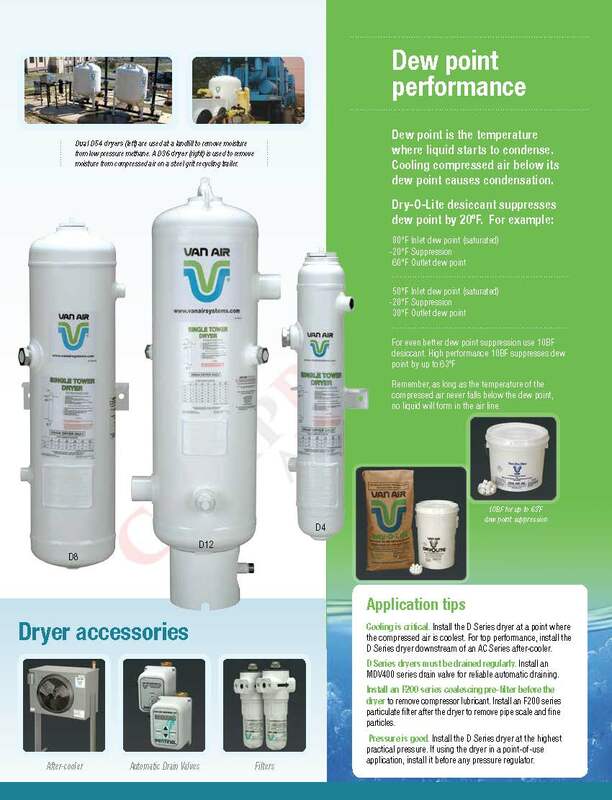 When used with Dry-O-Lite desiccant, the D-Series Compressed Air Dryer automatically provides a dew point that is approximately 20°F lower than temperature of the air at the vessel inlet. 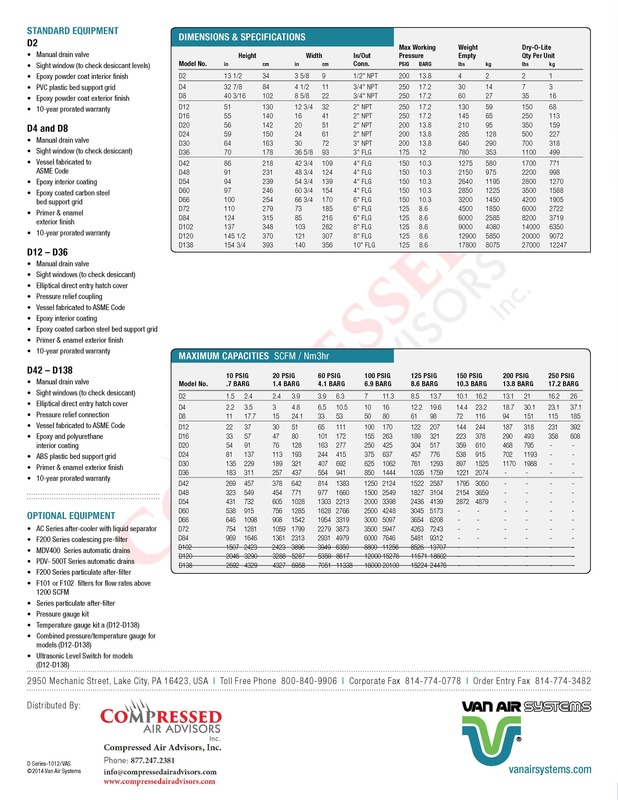 For example, if the air inlet temperature is 80°F, the D-series Dryer delivers a 60°F dew point. If the air inlet temperature is 50°F, the dryer delivers a 32°F dew point. Ideal for a wide range of applications, these compressed air dryers protect against freeze-ups in the winter and liquid in the summer. 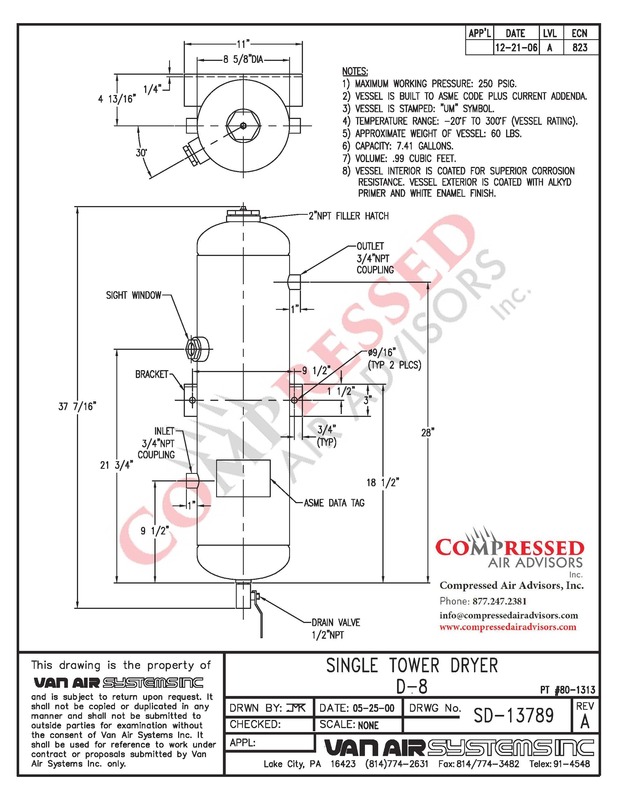 D-Series Compressed Air Dryers may be installed inside or outside, and with a pressure drop less than 1% of the operating pressure, they are ideal for low pressure applications. Also with no moving parts or electrical components, D-Series Compressed Air Dryers can be applied with confidence in dirty and hazardous locations.